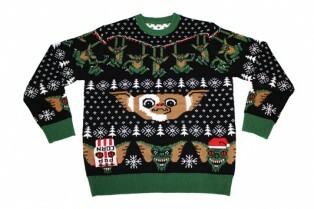 WB Developing Gremlins Animated Series for it..
Want a Gremlins Knit Christmas Sweater? Sure You Do! Pop culture and the world of geekdom is lurching into a whole new arena: The ugly Christmas sweater market. I’ve seen some pretty amusing sweaters that have replaced snowflakes and reindeers with devils and pentagrams, but what Mondo has on the way is, what I think may be the first movie crossover. 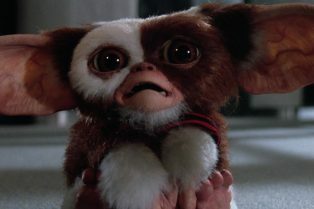 Gremlins celebrates its 30th anniversary this year and Empire magazine is celebrating with a fun little reunion featuring a lot of the key players. 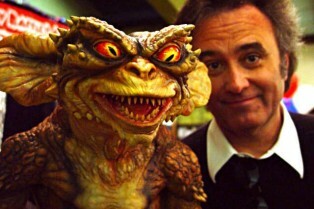 They posted the reunion pic you see above and chatted with the likes of director Joe Dante, actors Zach Galligan and FX artists Chris Walas and Rick Baker. Piggybacking the news of a sequel to The Goonies, our pal Jeremy over at AICN has dropped a little morsel of information regarding the long-mooted Gremlins remake. After being teased at a Toy Fair many years ago, and never hitting the shelves, NECA has finally gotten permission to make the long awaited “Spider Gremlin” as seen in Gremlins 2: The New Batch. Get all of the details on the deluxe figure after the jump! 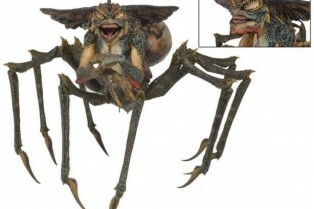 Standing 10″ tall, 15″ across, and 12″ long, the deluxe “Spider Gremlin” is the most unique and detailed Gremlin figure to date. 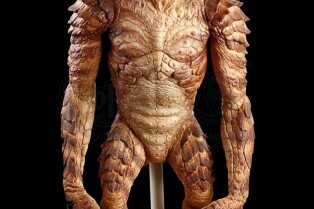 This figure will include over 30 points of articulation including a hinged jaw, ball jointed shoulders, elbows, and wrists and of course 8 massive spider legs each articuled in 3 places. In addition the figure will include a support stand for display. 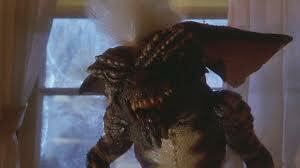 Is Warner Bros. getting serious about a Gremlins remake? It sure looks like it. Bloody-Disgusting reports that Seth Grahame-Smith (Abraham Lincoln: Vampire Hunter) and David Katzenberg have been strapped with producing duties, however, no writer or director are attached at this time. The two have a first-look contract with the studio and are also at work on a Beetlejuice sequel. Their two-year deal was signed back in fall of 2011.